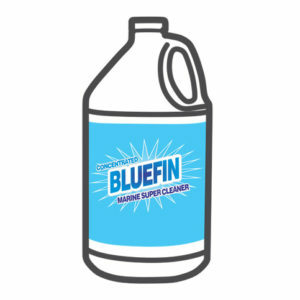 This highly concentrated, industrial strength formula is POWERFUL, safe and easy to use - just spray on soiled surfaces and wipe or scrub away! 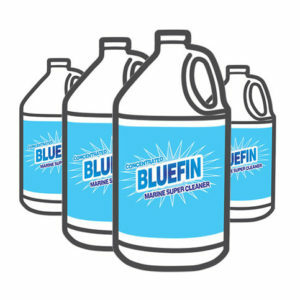 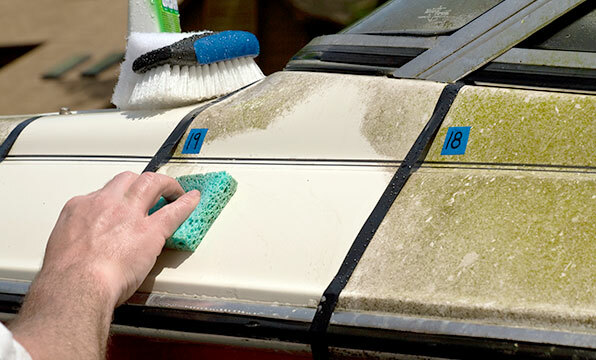 The BLUEFIN concentrated super cleaner for boats and marine equipment outperforms other cleaning products, even those with harsh chemicals. 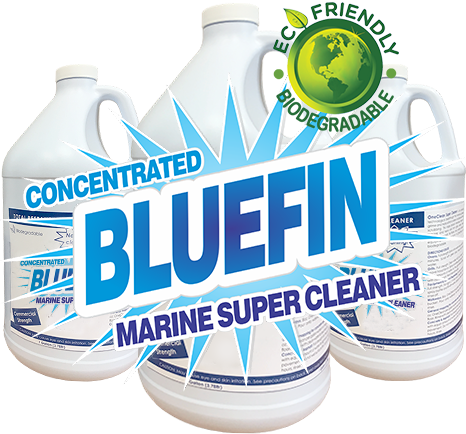 Safe and easy to use, it effectively removes black streaks, grease, mold, fuel spills etc and removes scum lines, algae and scale from boats, boat hulls, yachts, jet-skis, canoes etc.